Looking for a portable solution? Don’t know what low vision aid suits your eye condition? 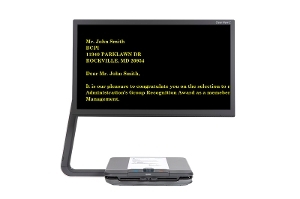 What is a desktop video magnifier? A video magnifier is a reading aid for people with low vision that maximizes the remaining sight so it’s possible to read and view photos again. When you are in need of magnification or contrast a video magnifier can help. A video magnifier is an electronic magnifier that uses a camera and a screen to make text easier to read. The camera image will be magnified and the contrast can be increased, making it even easier to read. 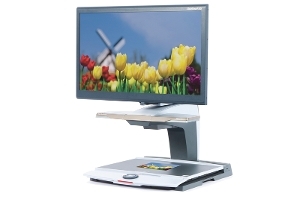 A desktop video magnifier is a magnifier that is mostly used in one fixed location, for example the living room. They have an integrated reading table so you are able to read a newspaper, do your hobbies or write a letter. 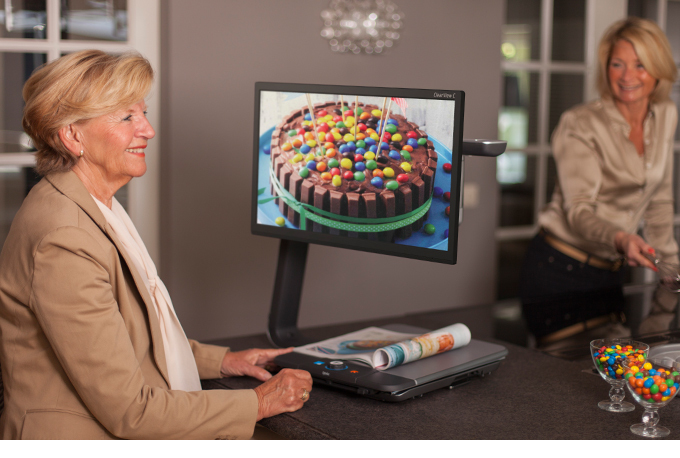 Optelec offers a wide variety of desktop video magnifiers. You can choose a monitor, camera quality (High Definition or Standard Definition), and simple or advanced functions. 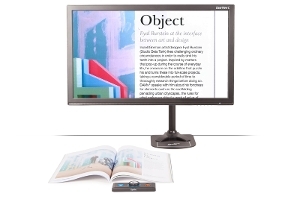 There always is a desktop video magnifier that meets your budget and needs. A handheld video magnifier is a small, lightweight electronic handheld magnifier that is easy-to- use. Due to its compact size, it is easy to carry along anywhere you go. You can magnify and increase contrast on the spot. 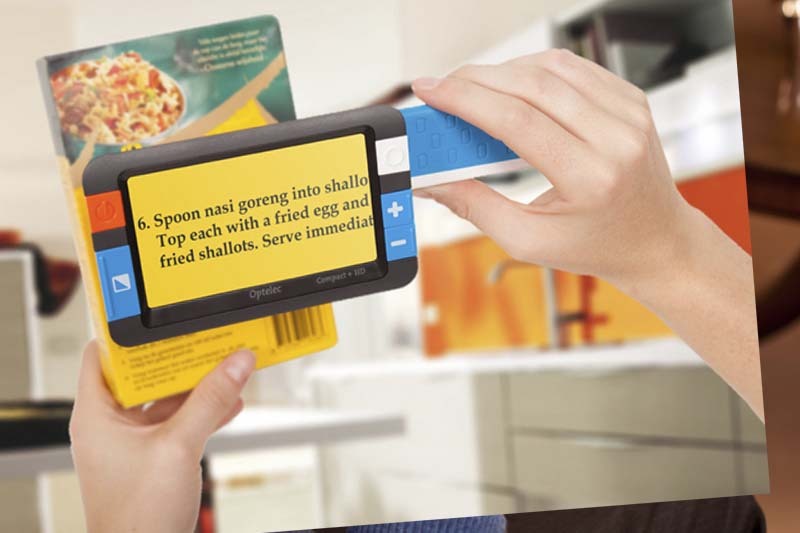 Use a handheld video magnifier on the go to read price labels, maps, bus schedules, directions and your favorite restaurant menu. Optelec offers a wide variety of desktop and handheld video magnifiers. If you are interested in the different possibilities, contact our friendly specialists by means of the contact form or give us a call 1-800-665-3005.